WASHINGTON (Reuters) – In the crowded field of Democrats jockeying for the party’s 2020 presidential nomination, U.S. Senator Bernie Sanders has raised more money than his rivals, with more of it coming from small-dollar donors and more from outside his home state. A Reuters analysis of first quarter fundraising reports filed on Monday found that while Democratic White House hopefuls talk about building their campaigns on “grassroots” or small donor support, only six of 15 amassed half their hauls from small-dollar donations. And many candidates are still leaning on donors in their home states for larger checks. Nine Democratic candidates received the bulk of their contributions of $200 or more from their home states, the Reuters analysis found. The analysis includes fundraising reports covering the first three months of 2019 by the candidates who launched their campaigns prior to April 1st. The field of candidates has since swelled, with 18 Democrats vying to win the party’s nomination to challenge President Donald Trump in November 2020. Many Democrats have touted their support among so-called “small dollar” donors, those who give less than $200. But only six — Sanders, U.S. Senator Elizabeth Warren, former Congressman Beto O’Rourke, Mayor Pete Buttigieg of South Bend, Indiana, U.S. Representative Tulsi Gabbard, and Andrew Yang, a former tech executive — are relying chiefly on those small-dollar donors. 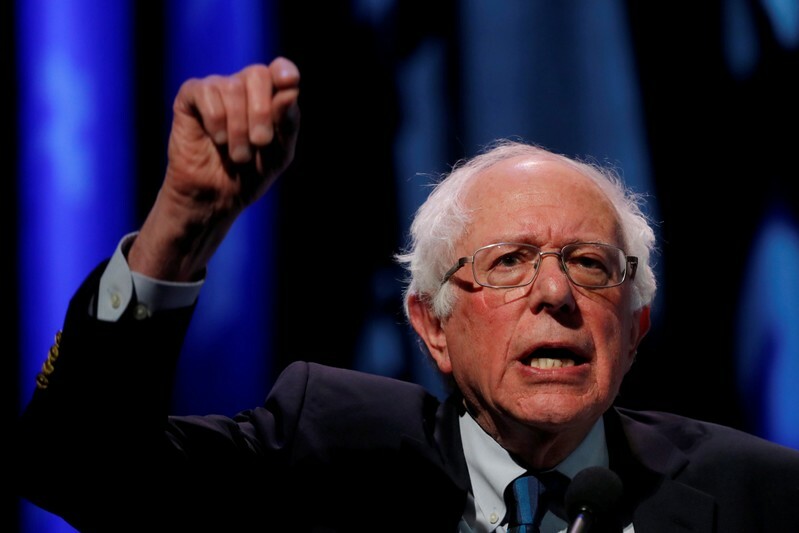 Sanders, of Vermont, benefited the most from small-dollar donors in the first quarter, with about 84 percent of his $18 million haul coming from individuals who contributed less than $200. Sanders also had the most geographic diversity in his donations, with California donors accounting for 27 percent of his donations of $200 or more. Early fundraising prowess can signal the strength of a candidate’s campaign. For example Buttigieg until recently did not have a national profile, but raised $7 million during the first quarter of 2019 – of which 64 percent came from small donations. In a move to show they are serious about eliminating big money from politics, most Democratic presidential candidates have sworn off donations from corporate political fundraising committees. Some have nixed taking checks from registered lobbyists. The Democratic National Committee announced earlier this year that small-dollar, grassroots support will be one of the metrics it uses to determine who qualifies to participate in a series of nationally televised primary debates that will begin in June. Warren – the only candidate to also swear off attending big ticket fundraisers – reported that about 70 percent of the $6 million she raised in the first quarter was from small-dollar donors. Massachusetts donors accounted for 25 percent of contributions over $200. O’Rourke reported that 59 percent of his $9.4 million was from donations of $200 or less. More than $2.1 million came from Texans who wrote checks of $200 or more. On the other end of the spectrum, John Hickenlooper, the former governor of Colorado, raised only 10 percent of his donations in $200 or smaller contributions. There was also little geographic variation among his contributors, with more than 60 percent of donations over $200 coming from his home state. U.S. Senators Cory Booker, of New Jersey, and Kirsten Gillibrand, of New York, each raised about 16 percent of their cash from small-dollar donors.